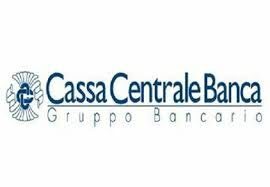 Värde Partners and Guber Banca acquired a portfolio of distressed credits from Cassa Centrale Banca (see here a previous post by BeBeez). Vendors carried on a multi-tranche and multi-originator securitisation for a face value in the region of 734 million of euros, 85-90% of which is secured. The senior tranche is 70% of the total issuance and originator banks will subscribe it, while Värde will subscribe the majority of the junior tranche. Guber Banca will take a minority of it and act as servicer of this portfolio. Varde owns 33.3% of Guber Banca, while the company’s founders Francesco Guarneri and Gianluigi Bertini own the remaining stake. A report of international law firm Ashurst says that 66% of international investors in distressed credits expect a rise of the median yield of Italian secured NPLs in the next two years (see here a previous post by BeBeez). The majority of surveyed professionals expect Italian NPLs to yield between 16% and 20%, while 24% expects Italian NPLs to produce a return of 11% – 20%. Unsecured NPLs may generate an above 20% IRR, according to 48% of the pooled persons, while 45% of them expects such figure to be between 16% and 20%. Since 2016, Npls in Europe decreased from 1.12 trillion of euros to 714.3 billion. According to the Ashurst’s report, Italy is the first market for NPLs for volumes that are worth 103.6 billion for 64 transactions. BeBeez NPL and Distressed Credit Report 2018 said that the face value of sales of NPLs in 2018 has been above 101 billion. Just a few weeks ago, the US credit asset manager Muzinich & Co, announcing the closing of its latest pan-European private debt fund reaching 706.5 million euros, had anticipated that it would have launched products classified as Eltif ( European Long Term Investment Fund, see here a previous post by BeBeez), becoming part of the trend that many asset managers in Europe are following that is working to channel the long-term savings of private banking customers to the real economy and in particular to private capital, looking for attractive returns that are not correlated with the volatility of the listed markets. The anticipated announcement came a few days ago: Filomena Cocco, managing director and business development manager for Europe of Muzinich, said to BeBeez that the firm will launch Firstlight Middle Market Eltif, a product that will invest in private debt, syndacated loans and high yield bonds on a paneuropean basis (see here a previous post by BeBeez). The fund has been developed together with Cordusio sim, the wealth management company for super-affluent Unicredit customers. Banca Ifis, the Milan listed investor in specialty finance and NPLs, said that Giovanni Bossi will no longer be the company’s ceo (see here a previous post by BeBeez). Sebastien Egon von Fürstenberg, the chairman of La Scogliera, Banca Ifis’ 50.1% shareholder, personally communicated such a decision to the manager. Sources said to BeBeez that Bossi has not signed any non-competition agreement with the company. While Sebastien Egon von Fürstenberg said previously to Corriere ella Sera that Banca Ifis is something that he has thought for his 37-year-old son, Ernesto, who is now ceo of La Scogliera. Banca Ifis has brokerage margins of 576.5 million of euros (+9.7% yoy) and net profits of 146.8 million (180.8 million yoy), and paid a dividend of 1.05 euros per share.